I recently attended a “women in leadership” discussion at my University. One of the questions that we discussed was “What motivates people to take on leadership roles?” Incidentally, I much prefer the term “performing a leadership role” rather than “being a leader”. To me, being a leader sounds too much like dragging people along after you, which is definitely not the style of leadership I aspire to! The many suggestions from our group fell into two broad categories: “incentives” and “support”. I do have a strong sense of duty to a Department that has been very good to me. And what would motivate me to take on a different leadership role (in addition to the above which would all still be necessary)? I would need to feel confident of being able to access a support network, e.g. regular “Ellie-centred” reviews, easy access to coaching services – I have had some success in getting this by simply keeping asking for it (clearly in the right places) and I know the University is looking at developing this network over the next few years, but it’s still a long way from being something you can rely on to be there. But perhaps the greatest motivation is feeling that sometimes I make a contribution, however small, to someone great getting the recognition or the opportunity they deserve, or to the group, Department, School or University being a little bit of a better place to work in after I’ve been involved. Those are certainly the occasions that have me bouncing around in my office with a huge smile on my face (yes, literally on at least one occasion), and make it possible to work through some of the less intrinsically motivating tasks that come with the role. I spend a lot of time reading scientific papers. They are one of the main ways in which science is communicated within the academic discipline, and also one of the ways in which academics productivity is measured. 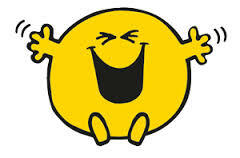 Away from work therefore, I generally find it hard to summon enthusiasm for reading anything vaguely science related. However, for Christmas this year I asked for 3 of the books on the shortlist for the Royal Society’s Winton Prize for Science Books prize. I looked forward to reading these initially because of my interest in science writing, but somewhat to my surprise I quickly found myself intrigued by the science within the first one. 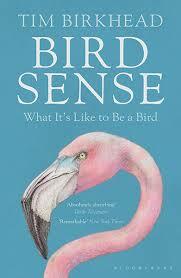 “Bird Sense” by Tim Birkhead discusses the evidence that birds use each of seven senses; seeing, hearing, touch, taste, smell, magnetic sense, and emotion. It is hard to say why such a topic captured my imagination but its considerable distance from my own research area certainly contributed. Imagine my surprise then to find the familiar topic of dimethyl sulphide (DMS) and even a familiar name within such a book. DMS is a gas that is most well known as a component of the smell produced when cooking cabbage or beetroot. It is also produced at sea when phytoplankton are eaten by zooplankton (e.g. krill), the gas being first dissolved in seawater and then released to the atmosphere. Once oxidised in the marine atmosphere it is a major natural source of sulphate aerosol in the marine atmosphere and may go on to affect clouds and have a significant impact on the Earth’s climate (therein lies the link to my research area). Oceanic DMS emissions account for something like 15% of the global sulphur emissions to the atmosphere and are a significant fraction of the sulphur emissions particularly in the southern hemisphere mid-latitudes. These emissions are a major player in the supposed CLAW feedback loop between atmosphere and ocean whereby climate change leads to changes in DMS emissions which then alter climate themselves, although the magnitude and even the sign of this feedback is the subject of much debate. Thus DMS is an important component of the marine atmosphere, but what does it have to do with bird senses? Seabirds in particular travel over very long distances to search for food, but many unerringly navigate safely back to their breeding grounds. Well, it could be that DMS is in fact providing a smell map by which seabirds can find their way home. Even more fascinating is the fact that this link was made via a chance encounter of biologist Gaby Nevitt with an atmospheric scientist, Tim Bates. Following an injury on a research cruise, Nevitt stayed on the ship whilst it was being prepared for a DMS transect cruise and saw the measurements of DMS across the ocean by Tim’s group. 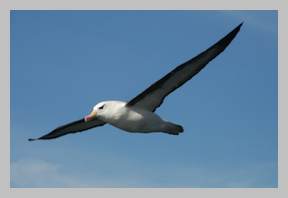 Subsequently, Nevitt and colleagues measured elevated heartbeats in birds exposed to air containing DMS and noted that the flight patterns of albatrosses were consistent with birds attempting to locate a breeding ground by smell, i.e. zigzagging across a plume rather than flying in a straight line (which would be more consistent with navigating by sight). So, far from escaping from work, I found aerosols deep in the depths of a book about bird behaviour, and a story of two science worlds colliding to produce a step change in understanding. I wonder what I will find in the other two books? I’m off sick. Last week I had a conversation with a member of my staff about prioritising their health over work since in the long term this is the most important thing. I also stuck up a cartoon in our office; a flow chart telling sick graduate students to go home rather than come in. When I say or do these things to people I really believe what I am telling them. So why, when I have been kyboshed by a very bad cold which has attacked my sinuses leaving me dizzy, weak and partially deaf, was it so hard for me to phone in sick this morning? It took a fairly forceful statement from my other half along the lines of “you can’t bang on about work-life balance and be too scared to take a day’s sick leave”. He has a point. But why is it so hard for me (and probably many other academics) to take sick leave? I know that when I’m off sick, I am getting behind on my endless to-do lists, including 4 major projects that I’m really keen on developing and have deadlines in May and.June. I’ll have to find the time from somewhere else… I don’t know where… . No-one will thank you for being in and spreading germs around the office, especially in those meetings! Nothing disastrous is likely to happen in the course of 2 days, and if it does, there are people who will cover for you because that is what this department is like. Everyone gets sick at some point – we are all human. Yes. Even you. We like humans. Perhaps you’ve got too much on your plate at the moment… is there something that can be put on the shelf for the time being so that you can give yourself some recovery time?